I love nothing more than being taken to a place I have never been to before and knowing almost instantly that it will become a regular haunt, somewhere I will come back to over and over again and in turn introduce other friends to it, confident that they will fall in love with it too. 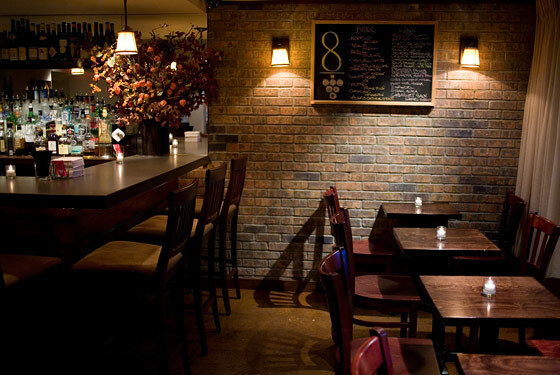 T, a Spanish friend of mine who recently moved to New York, did just that a few weeks ago when she took me to 8th Street Winecellar, on the corner of Macdougal, in a patch of the West Village I was until then less familiar with. The block is very picturesque albeit a little unusual with its high concentration of wholesale shoe shops and what looked distinctively like a clothes shop for transvestites ... 8th Street Winecellar itself is a small and intimate space located below street level so it can easily be missed. Their wine list is beautifully curated and T and I shared a lovely Russian River Californian Zinfandel, along with very generous platters of cheeses and cold meats.